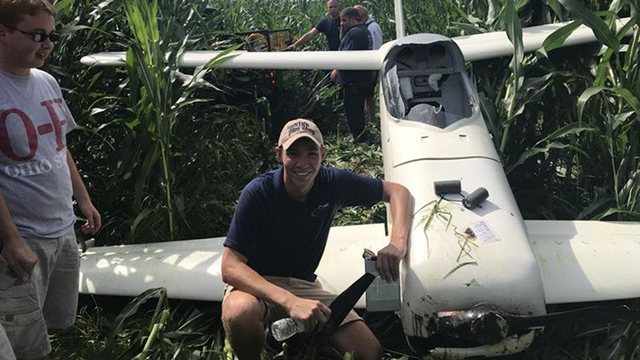 On July 19, 2018, about 1555 eastern daylight time, a Toomie Quickie airplane, N23JH, impacted high vegetation and nosed over on terrain near Zanesville, Ohio, during a forced landing following an inflight loss of engine power. The commercial pilot was uninjured. The airplane sustained substantial canard and fuselage damage during the nose over. The airplane was registered to and operated by the pilot as a Title 14 Code of Federal Regulations Part 91 personal flight. Day visual meteorological conditions prevailed in the area about the time of the accident, and the flight was not operated on a flight plan. The flight originated from the Zanesville Municipal Airport (ZZV), near Zanesville, Ohio. According to initial information, the purpose of the flight was to have pictures taken inflight by another airplane. During the flight, the airplane lost engine power and the pilot attempted a forced landing. He impacted a cornfield and nosed over. He was unable to get out of the inverted airplane cockpit until first responders righted the airplane. At 1553, the recorded weather at ZZV was: Wind 110° at 7 knots; visibility 10 statute miles; sky condition clear; temperature 28° C; dew point 13° C; altimeter 30.03 inches of mercury. 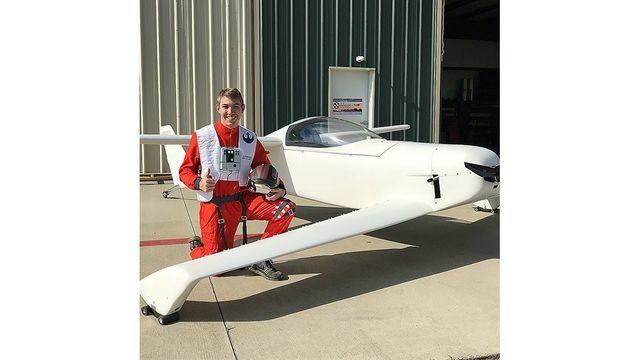 According to the Ohio State Highway Patrol, pilot Jacob Havens flew out of Cincinnati earlier today to meet with friends at the Zanesville airport. Havens said he was flying an experimental aircraft built for one and was heading back to the airport when the plane started to lose power. Havens said he was trapped in the plane until first responders were able to rescue him. “The aircraft was on top of me until, until they rescued me. I wasn’t pinned, I was able to move inside of the cockpit, but it was surrounding me so I couldn’t get out,” Havens said. Havens said he was not injured. The Federal Aviation Administration is as sitting with the investigation into the accident. The Highway Patrol is recognizing the efforts of Perry, Washington and New Concord Volunteer firefighters in locating the plane wreckage. ZANESVILLE - Jacob Havens has been a pilot for seven years, but had a scare on Thursday afternoon. 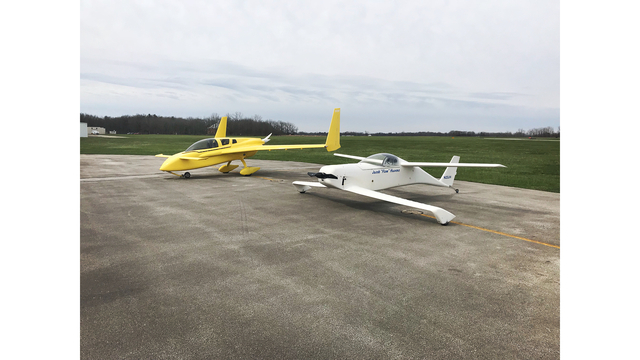 Havens was flying solo in an experimental aircraft, a Quickie Q1, when he started losing power in the cockpit and eventually crashed in a cornfield near the area of Norfield and Sonora roads just before 4 p.m. Thursday. His engine failed about three miles north of the airport, and Havens was forced to crash land in the field after losing all power. Havens, who is from Findlay and lives in the Cincinnati area, was restrained after his plane flipped over. Emergency crews freed him, and Havens was checked by medical personnel at the scene and released. This was the first incident Havens has experienced as a pilot. A friend from the Zanesville area was piloting another aircraft taking photos of Haven's plane when it lost power. The second plane landed at the airport without incident. "When I started losing power, I tried to make a beeline to the airport," Havens said. "It kept dropping RPMs so I did a 360 and tried to land on the road. But, my energy carried me into the field." Havens did not have insurance on the plane. 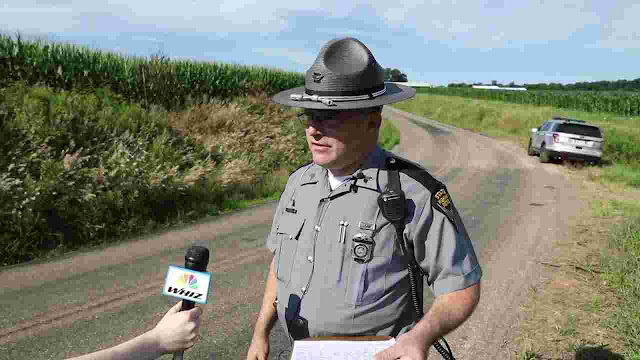 Ohio State Highway Patrol Sgt. Jeffrey Jirles said the plane is a total loss. It will be recovered from cornfield on Friday, and the Federal Aviation Administration will examine it. "It was a short search as a local pilot helped us find it," Jirles said. "(The aircraft) is well off the main road and makes the recovery difficult." Perry and Washington Township as well as New Concord fire departments assisted at the scene. The crash remains under investigation by the Ohio State Patrol, with assistance from the FAA. This was the second plane crash in this area so far this year. A plane traveling from Elyria, Ohio to Deland, Florida crashed in Coshocton County in April. 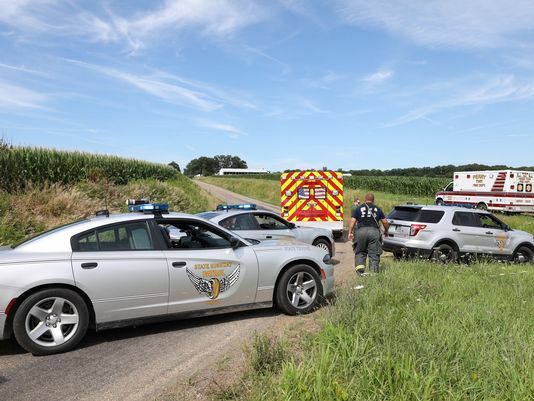 The Zanesville Post of the Ohio State Highway Patrol said pilot Edward Zezlina, 67, and passenger Linda O-Brien, 71, of Grafton, died after their plane crashed about five miles west of Blissfied. The owner of the property where the crash happened said his wife heard an engine noise followed by the crash. The wreckage was discovered a couple of hours.